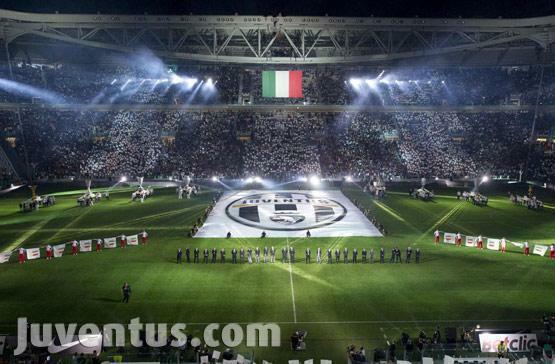 Juventus: New stadium, New warriors and a return to old glory? A season of massive disappointment for the Turin giant’s last campaign resulted in what was a summer of inclement change, full of transfer activity inwards and outwards of the club. Last season was every bit as disappointing as the one before it, despite the radical changes that had been made in the upper echelons of the Juventus management. The fabled Agnelli name returned to Juventus last summer with the arrival of Andrea Agnelli as the chairman who appointed Beppe Marotta as the Director of Sport. Antionio Conte- A Juventus Legend. Can he lead the Old Lady's Renaissance as a Coach? But it was far from a rosy story for the ‘Old Lady’ who endured another year of pain and despair failing from Scudetto contenders to Champions League hopefuls to Europa League seekers to eventually missing out on Europe altogether. However, this summer was Beppe Marotta’s shot at salvation, to correct all that had been wronged at Juventus all this while and to cover up the numerous chinks in the Old Lady’s footballing armor. What Marotta had failed in doing last year was to set up a base for Juventus’ future endeavors and after having been back to square one, that is what he set out to do once again in this season’s ‘mercato’. His task was simple, find solutions to the incredibly evident flaws in the team and to buy world class players to take Juventus to the next level and try to challenge the Milan twins and Napoli for the Champions League places. The most evident and arguably the most important change that happened was not in the recruitment of new players but the arrival of Juventus legend Antonio Conte as the head coach. Conte epitomizes everything that Juventus stands for and has always stood for, and the arrival of one of Juventus’ most revered sons has been a reason to rejoice for the Bianconeri army worldwide. For what one can always be assured of with Conte is that he will get his players to give it their all, whether or not that is enough, is another matter. And with the growing reputation that Conte enjoys as a coach, the only way from here for Juventus is upwards and onwards, or so the fans would hope for. If there was one area that Juventus fans were satisfied about last season, it was the centre midfield. Felipe Melo, Aquilani and Marchisio, all performed quite well but this summer saw the departure of two of the three- Melo and Aquilani. But despite that, at the end of it all, fans are universally happy with how the midfield looks like with the additions of Andrea Pirlo, Arturo Vidal and Michele Pazienza. The most important of Juventus’ transfers came in as one of the earliest, a move that saw Italy’s most revered midfield magician- Andrea Pirlo join Italy’s most supported club, a match made in heaven you might say. What Pirlo brings to the table at Juventus is enormous; he’s been there and done it all before, he could well be the catalyst to Juventus’ journey back to the top of the ladder. Many might feel that at 32 his best years are behind him, but his passing range, vision and calmness in midfield would be of great use for Juventus. Arturo Vidal, the other major midfield signing, could well be even more valuable. He was unarguably the most complete midfielder in the Bundesliga last season and his transfer to Juventus ensures some much needed steel in the midfield ranks. What’s even more valuable is that Vidal is adept at playing in a 4-4-2/4-2-4 or 4-3-3 that Conte would probably employ this season. He personifies how a modern midfielder should be like and much of Juventus’ success this season would hinge on how quickly Vidal adapts to his new surroundings. Also coming in was Michele Pazienza who more than likely would act as backup to the midfield trio of Marchisio, Pirlo and Vidal. Much of the gripe that Juve fans share about last season and one of the primary reasons about last season’s failings was the lack of creativity on the left wing and the isolation of Krasic on the right due to poor support from the fullbacks. As a result, this area saw the most changes in the team, while last season’s misfit Jorge Martinez was quickly farmed out on loan to Cesena and promising youngster Christian Pasquato sent on loan to Lecce, new faces in the form of Emanuele Giaccherini, Marcelo Estigarribia, Eljero Elia and also Mirko Vucinic were brought in. Emanuele Giaccherini was brought in from Cesena in a move that saw Jorge Martinez travel the other way. While on first account, this doesn’t look the brightest of moves, Giaccherini did have a good season last term and his pace and good dribbles could bother defenders. However it remains to be seen if he can step up and be a ‘Mauro Camoranesi’ from yesteryears or fade into oblivion just as quick as his move was from Cesena to Juventus. Marcelo Estigarribia is another of the gambles that Marotta has taken this season, while being incredibly talented, his previous stint in Europe was anything but successful. But that said, he was Paraguay’s shining light in the recently concluded Copa America where he troubled most fullbacks with his rapid pace and positioning down the wings. Eljero Elia,the third wing man signed by Juventus in the closing days of the ‘mercato’, is despite his young age, the most established winger among the three. On his day, there aren’t many better than this temperamental Dutchman, but that is where the problems lie, Elia epitomizes the problems with a modern footballer who speaks too much and then flatters to deceive. His potential is undoubtedly outlandish and with his trickery and acceleration, he could well go and be a truly great player, but the right kind of attitude would be needed for that as well. Vucinic- Much depends on how he goes. Coming onto Mirko Vucinic, his transfer failed to enthuse most Bianconeri fans and rightly so. After long negotiations and attempts to get the likes of Sergio Aguero and Giuseppe Rossi, getting Vucinic was surely a level down. The Montenegrin is languid to put it mildly and not one who would bother chasing the ball whenever he gives it away and can sulk if the game isn’t going his way. However, he can also be treat to watch when on form inflicting all sorts of damage on the opponents and for his and Juventus’ sake, fans would hope that he’s on form more often than not. Jonathan Zebina, Marco Motta, Zdenek Grygera, Fabio Grosso, Christian Molinaro- a long line of full backs that failed to live up to Juventus’ standards, not because they didn’t try, but because they were simply not good enough. Post Calciopoli, season after season, the Juventus hierarchy ignored the needs for quality fullbacks and quite naturally bore the brunt of it with disastrous results in the last couple of seasons. This season though seems much more auspicious on this front with the arrival of Swiss International Stephan Lichtsteiner to Turin. Stephan Lichtsteiner has for long been one of the most consistent right backs in the Serie A and also on the international stage with Switzerland. His untiring fitness and quick pace that enables him to wander up and down the pitch for 90 minutes at a stretch are qualities that Juventus have long been looking for. And unlike his predecessors, he can defend and tackle as well and his attacking foray’s in support of the wingers is another added incentive, with the only supposed question mark being his positioning but that can be improved with tactical work on the training grounds. However, the story of the other Swiss fullback Reto Ziegler signed by Juventus is borderline comical, Ziegler was brought in on a 4year contract from Sampdoria on a free transfer but without having played a game has now been shunted out to Fenerbahce. This case only acts a further pointer about the indecision in the higher management who took some decisions without consultation with their coach who did not see Ziegler as a part of his plans. Alessandro Matri, Fabio Quagliarella, Simone Pepe and Marco Motta were all signed on permanent deals from their respective clubs. While the first two were undoubted successes and needed at Juventus, the permanent signings of the latter two is almost baffling. Matri was the protagonist to nearly everything good that Juventus did in the second half of last season and he would pretty much be a guaranteed starter as a striker. Pepe’s season at Juventus was barely convincing and lack of technical ability doesn’t bode well at a club like Juventus and right back Motta was even worse last season, arguably Juventus’ worst player. With the transfer market now at end, looking back at it all, for all the positives, there are more than just a few failings of the Marotta regime once again. The Juventus defence had been crying for an able partner for Giorgio Chiellini but despite having been linked to all and sundry in the transfer market including the likes of Bruno Alves, Diego Lugano, Rhodolfo and Alex, no move materialized eventually leaving evident chinks in the defense line of the ‘Old Lady’. Besides that, Marotta clearly failed to deliver on another front, the deadwood in the form of Amauri, Fabio Grosso, Luca Toni still find a place a club, eating into the wage budget. What’s even more criminal is the fact that Marotta managed to sign proven failures from last season- Pepe and Motta on permanent deals for nearly €10mn Euros, albeit spread over 3 years, at a time when apparent lack of money made him pull out of moves for both Aguero and Rossi. But they’re on the way up! Yet, despite all that, this season see’s the beginning of a new era at Italy’s most successful and the most supported club with the recent inaugaration of the Juventus Arena- Italy’s first fully club owned stadium, and with the arrival of Juventus’ prodigal son Antonio Conte as Head Coach. With a new set of players and a man as influential as Conte at the helm, what is for certain is that the players shall give out their best, for anything else shall be unacceptable to ‘Grande Capitano’ Antonio Conte. Things look rosy, albeit still with a few loopholes, yet the only way from here for Juventus is upwards. Milan twins beware, the Italian Old Lady has woken from its slumber and its coming to reclaim what is rightfully her’s. Italy’s most supported club Juventus is ready to battle, and their time is now! Read full article-Sportskeeda.com- Juventus: New stadium, new warriors and a return to old glory? Previous PostMan Utd’s Generation Next: Can They Keep The Legacy Going?Next PostSerie A roundup: Juventus & Napoli dominant, Milan rusty while Roma & Inter bite the dust!